The charter bus rental Largo service that we offer is reputed and relied upon in the area. As a result, whether you are here in this region for office work or for travel reasons, you will do well to look up our charter bus rental Largo service. The service that we offer has several buses from 20-50 passenger charter buses for hire. If you want more information on a charter bus rental call us at 813-514-6980. Whether you are looking for 30 passenger shuttle buses or more, we can provide you with diverse choices. There are luxury amenities to opt for in limo bus rides as well from our bus service. Basic rides to and from the office or school can also be arranged for long term hire through our portal. Our charter bus service website has several models for hire including 40 passenger charter buses and more. If you wish to book a shuttle ride or a day trip with a group, take a look at our website. Here you will find the different models and find the different terms and conditions for hiring the different coaches. Once you have made a booking on our site, you can have peace of mind that our shuttle service will reach you on time or the coach you hire for the day will take you around town as you desire. 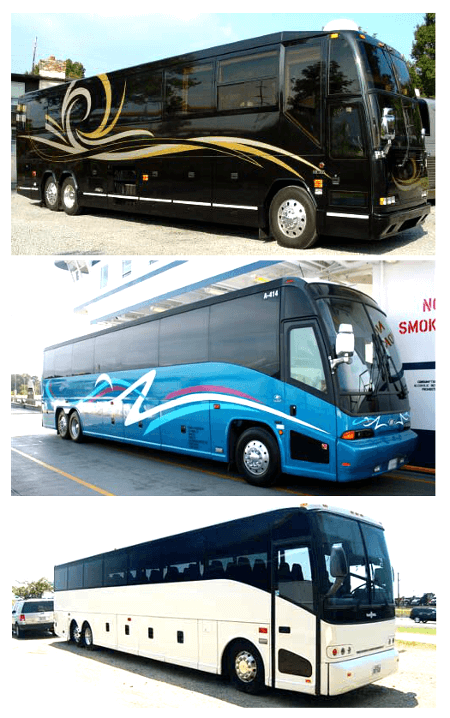 Get the best prices on a charter bus rental, call 813-514-6980. We are also offering party bus rentals in Largo Fl for those wanting to entertain their guests! Largo Central Park; it is a great place to visit when you wish to go out with family. Armed Forces History Museum; it is a military museum located in the area. Pinellas Trail; it offers a great trail across the Pinellas county. Eagle Lake Park; this area is a great place to visit in the Pinellas region. Walsingham Park; this is a great outdoor area to visit in Largo. We have an airport shuttle rides which comprise of 50 passenger charter buses or more. We offer airport shuttle rides to and from the nearby Tampa International airport. If you are worried about how to get your group to the airport on time, simply look up the charter bus rental Largo website for shuttle rides. As always, our Largo limousines are available for hire for airport transportation. You might be looking at traveling to and from the neighboring towns and cities like Oldsmar, East Lake, Citrus Park, Dunedin, Safety Harbor, Clearwater, Gulfport, Holiday, Palm Harbor, and Tarpon Springs. These places are located in and around Largo. For getting a group of people through a long road journey, it is best that you opt for our charter bus Largo service to get there in time and to provide enough room and comfort to all those who are traveling.